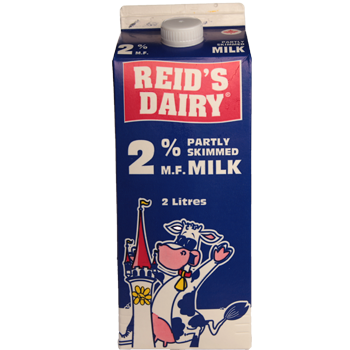 Reid’s Dairy produces two percent of the fluid milk supply in Ontario, with two-thirds of our raw milk coming from dairy farms within 100 km of our Belleville manufacturing facility; when you purchase our products you’re also supporting local farmers. 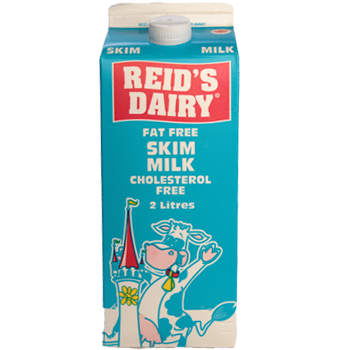 Milk is brought in on the tanker trucks and processed and replenished daily in our store, our milk could only be fresher if you got it from the cow yourself! With our on-site quality lab, our products are guaranteed safe and fresh when it leaves our building. 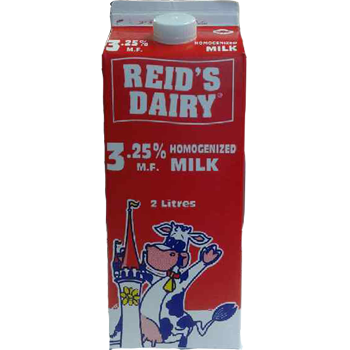 Reid’s Dairy does not use a UHT (Ultra-High-Temp) process when processing our milk and cream, allowing us to offer you a wholesome premium product your family can enjoy. 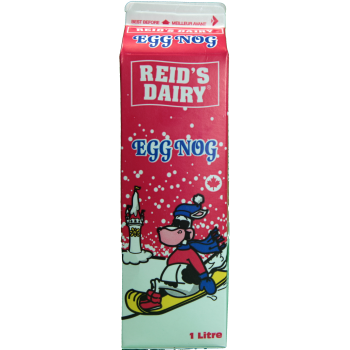 Some of our products are now packaged in a diamond curve carton. They are sleeker and easier to hold. 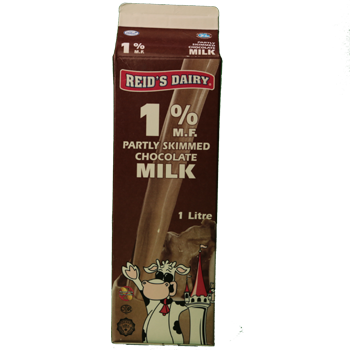 With the exception of chocolate 1L, our cartons now have screw caps. 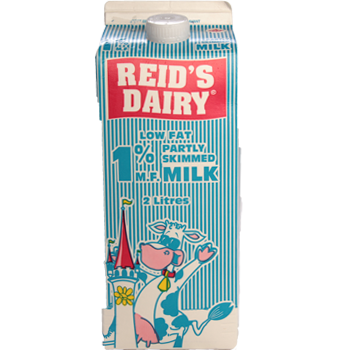 These cartons are cleaner and easier to open. 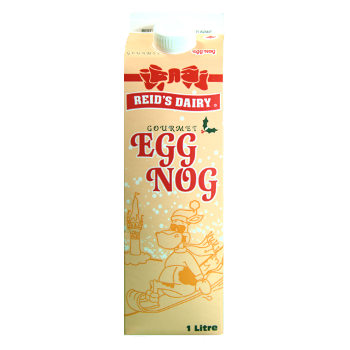 Taste the difference in our products, you will be glad you did!